Tencent Games will soon start rolling out the 0.11.0 update for its popular battle royale game PUBG (PlayerUnknown’s Battlegrounds) Mobile, globally. The update will bring a lot of new features including the upcoming zombie mode, which is being called the Resident Evil 2 Sunset mode. If you can’t wait for the update to be released, Tencent Games has released a beta version of PUBG Mobile 0.11.0 for everyone to try out. The new PUBG Mobile Resident Evil 2 Sunset mode is expected to be initially available in the Erangel Map only, and will spread to other maps later. In this mode, players will be required to battle waves of zombies with Resident Evil 2 bosses thrown at them, with each wave being larger than the last one. Additionally, they will also need to keep an eye out for competitors that are looking to kill them. We were able to get our hands on PUBG Mobile 0.11.0 beta and tested out the Resident Evil 2 sunset mode. The gameplay was able to impress us a lot even though it was quite difficult at first. The reason behind this was that we had to manage to keep our avatar safe from the zombies, while at the same time trying to not get distracted by the zombie waves to much that other players got the chance to kill us without any difficulty. You also get good ammunition and supplies by killing of the Resident Evil 2 bosses that will come along with every wave of zombie attacks. I personally got the AWM along with an 8x scope by killing a boss and that helped me get a lot of kills under my belt. Overall, we are quite impressed by the new mode and are interested in seeing what the company have in store for us when it rolls out the update to everyone. Take note that the Resident Evil 2 sunset mode is a limited period event, which means that it might be available for some time only. PUBG Mobile 0.11.0 update will also bring new weapons including a flamethrower, Mini OP and a millie knife. All these weapons will help the players take on the zombies much more efficiently. 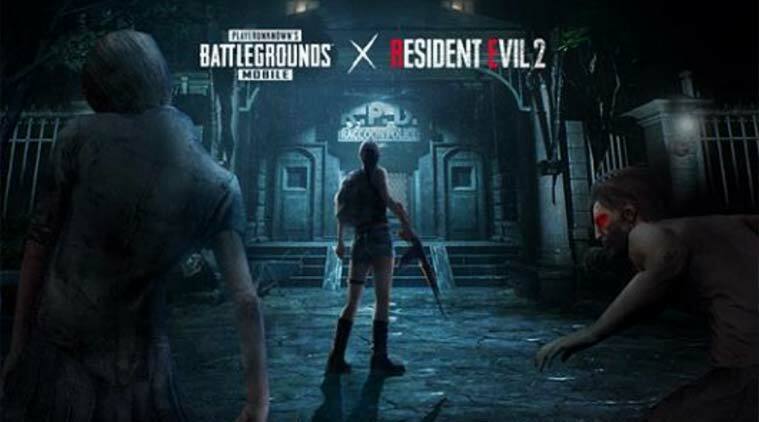 Apart from the new Resident Evil 2 Sunset mode, the update will also add a new moonlight weather to the Vikendi map, a Quick Match Arcade mode in Sanhok, Resident Evil 2 main menu theme and music, damage on the basis of how far the players are from the safe zone, Air raid adjustments, push to talk walkie talkie mode and personal spaces.